petition: Save Lasah! Tell TripAdvisor to stop being complicit in elephant abuse! Save Lasah! Tell TripAdvisor to stop being complicit in elephant abuse! 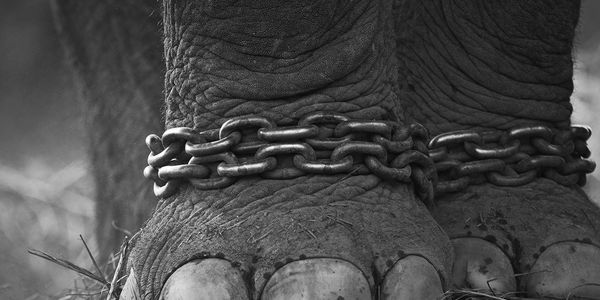 In a situation that can only be described as beyond heartbreaking, an Asian elephant named Lasah is enslaved by humans, exploited and abused all day every day. Langkawi Elephant Adventures (LEA) in Kedah, Malaysia own Lasah, and there are several TripAdvisor pages promoting 'elephant experiences' with Lasah through a business called Oriental Village. Positive reviews of rides on Lasah published by TripAdvisor legitimise this attraction and ensure a continuing market both for the tourism and the poaching that supplies elephants to tourist attractions like LEA. The dirty secret of elephant tourism and trekking is that young elephants, usually baby girls, are first poached from their mother and herd and 'broken'. Breaking is done by chaining the baby elephant's body into a large structure so the humans can torture the elephant with instruments and pain. When the elephant is broken it can be taught what the human wants it to do to earn money for the human. Training involves more pain and torture. The average weight that a trekking elephant carries each day all day is around half a tonne allowing for 150 kilo chair plus 4 guests. You will see permanent indentations on elephant backs where these chairs have been. Elephants live as long as humans and are often worked to death. There is a local sanctuary called Kuala Gandah Elephant Sanctuary that will be able to have Lasah and let him enjoy a retirement if Lasah cannot be 'wild released' after rehabilitation. In January 2017, FOTO organised a protest in the capital of Malaysia, Kuala Lumpur, and in February, they personally handed two petitions, including a Care2 petition with over 400,000 signatures, to the head of the Peninsular Malaysia Wildlife Department and the Head of the Corporate Communications Unit at the Environment Ministry of Malaysia. Petitions were submitted to the Prime Minister's Department in 2016. In March 2017, FOTO organised a protest in London, UK. Please sign and share this petition. Thank you. Dear all kind Lasah supporters. The elephant is still chained in Malaysia. But he is not forgotten. There is a change of government in Malaysia. The new Prime Minister's 'constituency' is LangKawi where Lasah is held. Surely now Lasah has a chance? Let's all tweet the Malaysia Government in the 24 hours! Please do it now then it's done and you've made your voice heard! Thank you. Please help Lasah by watching the film and sharing across your social media channels. If you've got some loose change, please donate! Thanks. Dear Lasah supporters, just to let you know about the official Lasah Fundraiser endorsed by Friends of the Orangutans who are spearheading the international campaign to free Lasah. Fundraiser is a 12 hour non-stop static cycle ride in the Lake District, UK. Happening this Saturday 3rd Feb 2018. Bridgitt Bardot joins the fight! Expedia caves to pressure to remove Lasah promo pages.